Shaun was signed as a free agent by the Lions in May of 2018 and attended training camp with the club before being waived as part of the Lions’ final roster cut-down in June. 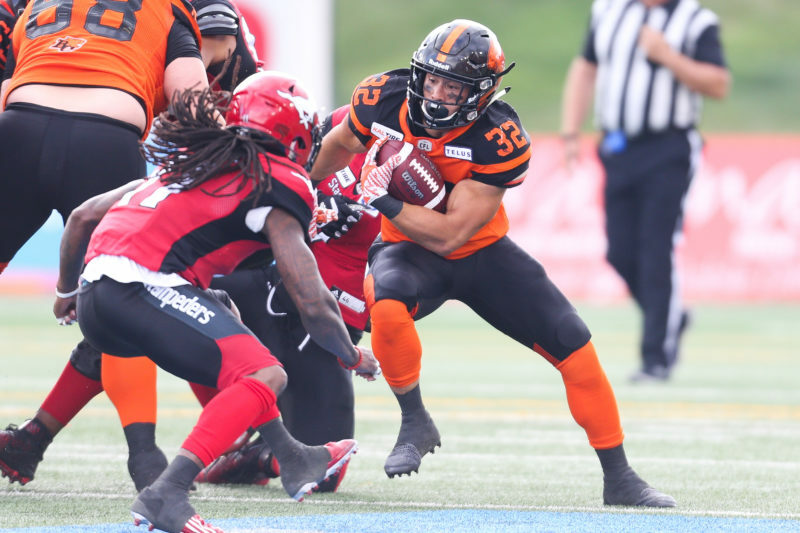 He was re-signed by the Leos in September as part of the CFL’s expanded practice roster period. 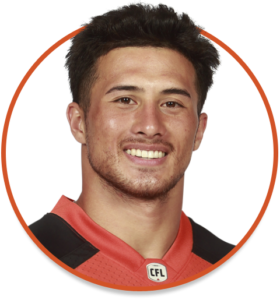 2018: Shaun attended training camp with the BC Lions in May. Despite a strong showing in camp, Shaun was waived during final cuts. The Lions re-signed Shaun during the CFL’s expanded practice roster period in September. He was released by the club on October 9 but elected to sign a 2019 futures deal to remain with the organization. 2017: Shaun was signed by the Edmonton Eskimos in October as part of the CFL’s practice roster expansion period but did not see game action. 2012-2016: Shaun attended the University of Wyoming for five years, exiting as the sixth-leading rusher in school history. Wick accumulated 2,533 yards and 21 touchdowns while averaging 4.9 yards per carry with the Cowboys. He also was a factor in the passing attack, hauling in 53 passes for 356 yards and three scores across 50 games. His sophomore campaign was his best, running for 979 yards and nine rushing touchdowns. Shaun began playing football at the age of 9 and says playing in the California State Championship game as a freshman in high school was his most memorable gridiron moment. The Social Science major makes his offseason home in Ventura, CA. A typical Californian, Shaun spends his free time skateboarding, hiking and at the beach. Shaun is a believer in the power of GTL and fist pumping, as he lists the Jersey Shore as his favourite television show.